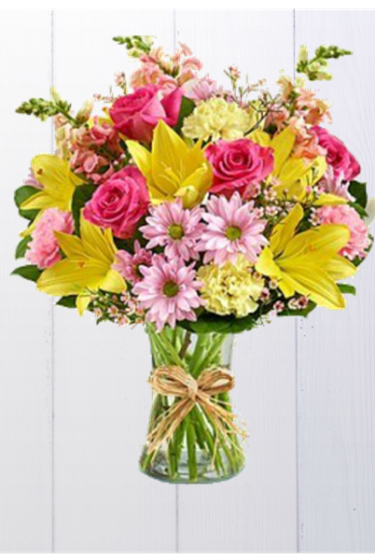 Spring blossoms professionally arranged in a beautiful, classic vase. 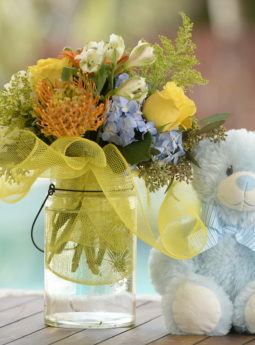 Honor Mom with this timeless classic. 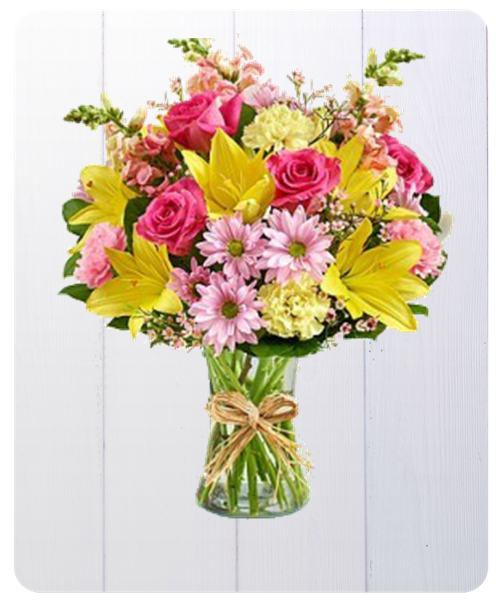 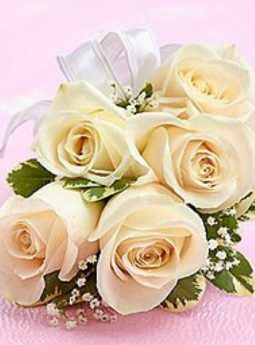 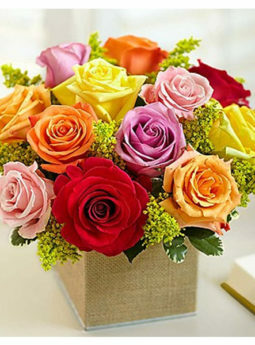 Gorgeous fresh roses, lilies etc in spring colors is hand arranged in a clear class vase wrapped with raffia.